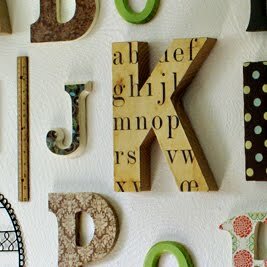 For a while now, I’ve been wanting to do something decoratively with wall letters in different fonts, using the entire alphabet. I was originally thinking of a border of some sort. But this photo on Ohdeedoh caused me to shift gears and inspired me to move forward. I had the perfect spot–a blank white wall in the room we use for school. It’s the first thing you see when you walk down the stairs from the main level or up from the basement, and it was boring me to tears. Getting started was the hard part. 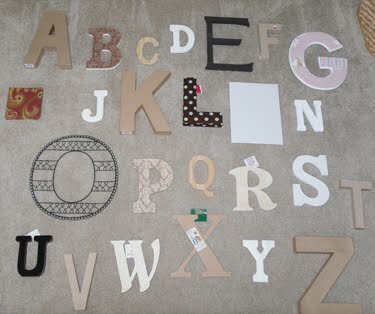 I finally made myself lay out all the letters as-is on the floor and fiddled with them until I got a workable design. Then I printed the photo on a regular sheet of paper, dug into my stash and started pulling patterned paper and fabrics in colors that I wanted to include, decided where to use them, and wrote notes on the photo as I went. Whew. The hardest part was over. Next, I traced, cut out, and adhered the materials to my letters. I used my ATG gun to stick them down and also applied a layer of Perfect Paper Adhesive over the top. I used this top coat in particular because it’s UV resistant, and the wall gets a fair amount of direct afternoon sun. 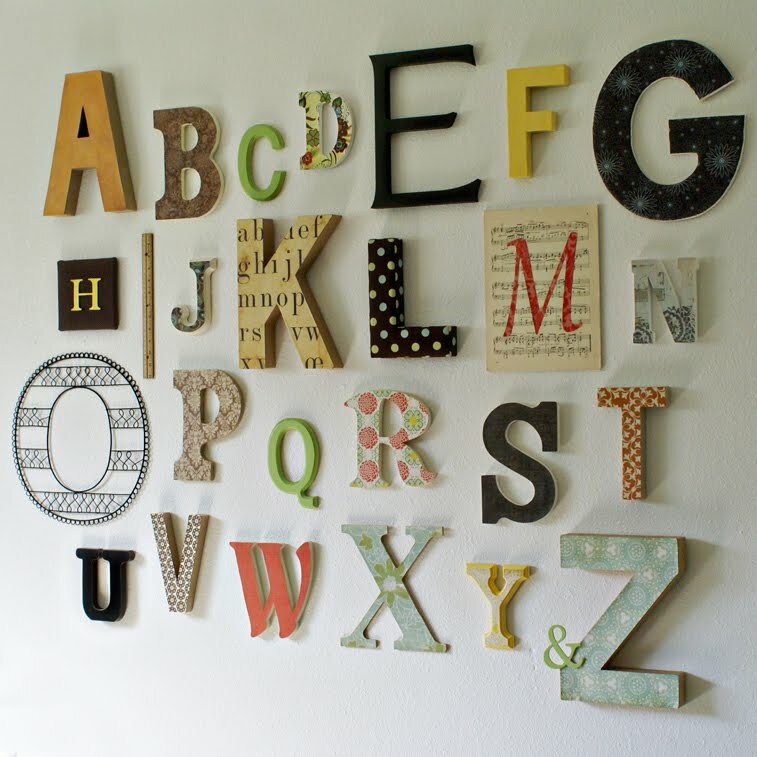 Once the letters were done, I laid them out again on the floor and mounted them on the wall from there. 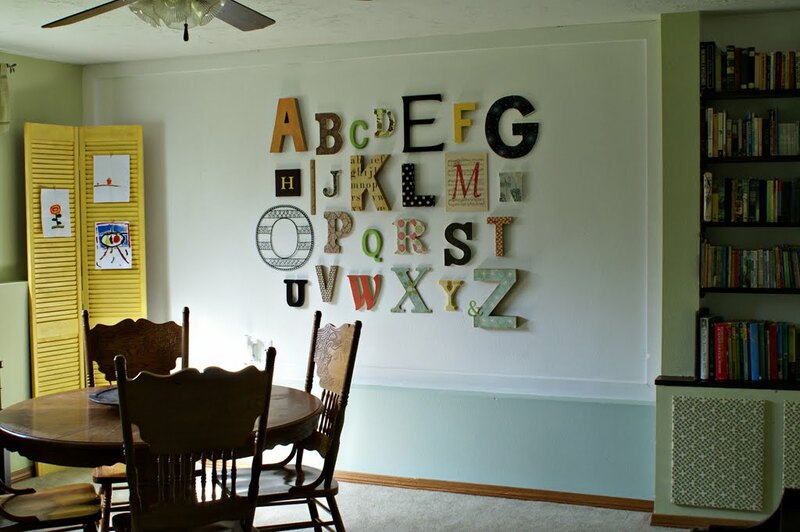 I measured and marked on the wall where the A and Z should go, put them up first, and then tried to follow my basic design, but I didn’t fret over exact placement. I used 3M Command Small Picture Hanging Strips to stick them to the wall, which really helped when I needed to make little adjustments. Most of my letters required only one set, which can hold up to a pound. I love how colorful it is and that it’s immediately visible when we walk up or down the stairs. 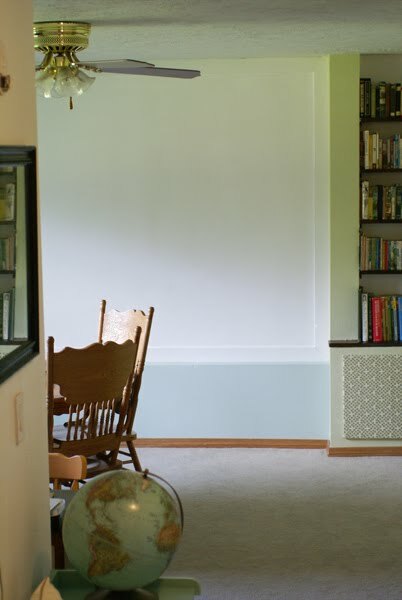 It adds so much, not only as the center of attention, but also by tying together the colors in the room. I’m still working on this space, but it’s definitely becoming more of a cheerful place to be! If you have questions about specific fabrics or patterned papers I used, please feel free to ask in the comments section and I will be happy to provide the information. Are you for hire? 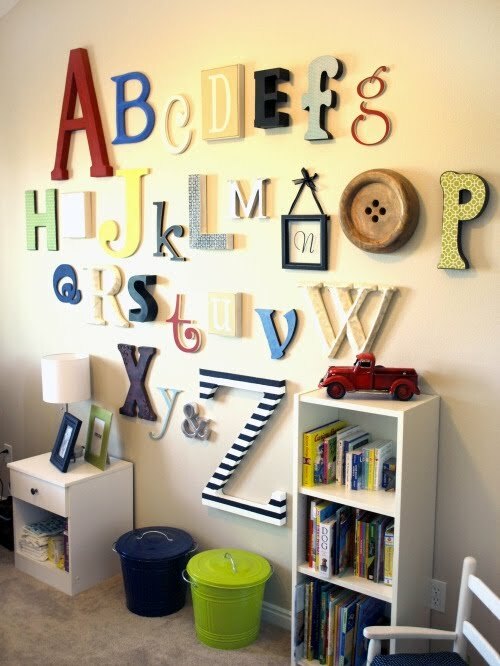 Can I please hire you to do the alphabet wall for my daughters twins nursery??? ?